An expedition recently launched to explore Indian Ocean's hidden depths and check oceanic health. London: A mission to explore uncharted depths in the Indian Ocean was launched on Wednesday, hoping to discover hundreds of new species and find out what impact plastic is having way below the surface. The First Descent expedition, led by British-based ocean research institute Nekton, is set to send submersibles as deep as 3,000 metres off the Seychelles from March to test the health of the ocean. The project was launched at the Commonwealth headquarters in London. "The mission is focusing on 30 metres down to 3,000 metres. This is where you get the peak diversity of species," said Professor Alex Rogers, part of the scientific team. 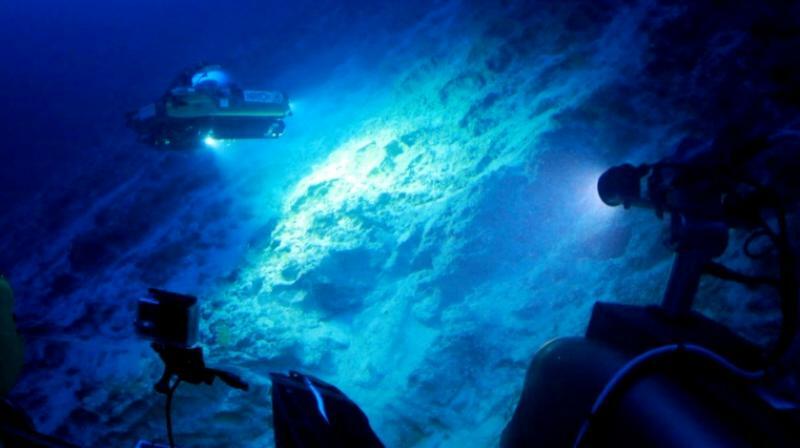 "In the Indian Ocean, the deeper zones are almost completely uninvestigated. We simply don't know what's there," he added. The Oxford University deep sea biologist said that the mission could find 100 to a thousand new species, including lots of new corals. "The more you zoom in, the more diversity you're going to find. I'm really confident that we'll discover many new species," said Rogers. "The ocean is suffering serious degradation from overfishing, pollution and climate change. It's critically important to understand how life is distributed in the oceans now, so we can make decisions better to manage the oceans," he elaborated. The USD 5 million (4.4 million euro) collaboration brings together 47 partners from business, philanthropy, sub-sea technology, media and civil society. The Ocean Zephyr mothership is currently on its way from Bremerhaven in Germany to the Seychelles. It will be home to 50 scientists, engineers and technicians during the project. Its two submersibles will take 17 different research tools and technology into the deep, along with 18 cameras to create the first three-dimensional maps of deep sea ecosystems. Some of the dives will be broadcast live. Ocean campaigner Emily Penn, a Nekton trustee, said the expedition could shed light on the impact of plastic thousands of metres below the surface. “We really don't know what's going on in the deep ocean when it comes to plastic. We know eight million tonnes of plastic is going into the ocean every year and we're only finding a fraction of it on the surface. The big question is: where is all the rest of it going?